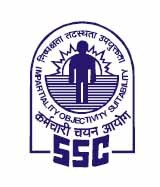 Staff Selection Commission (SSC) has published Important Notice regarding Recruitment of Constable (Executive) Male & Female in Delhi Police - 2016, Check below for more details. It has been informed by the Delhi Police that some of the candidates who were absent/disqualified in PE&MT for the Recruitment of Constable (Exe.) (Male/Female) in Delhi Police, 2016 Examination, have been inadvertently included in the list of qualified candidates. Such candidates are advised not to appear in Written Examination to be held by the Staff Selection Commission (SSC) from 05.12.2017 to 08.12.2017 otherwise they will be debarred from appearing for recruitment to any post in Delhi Police for the next three years.